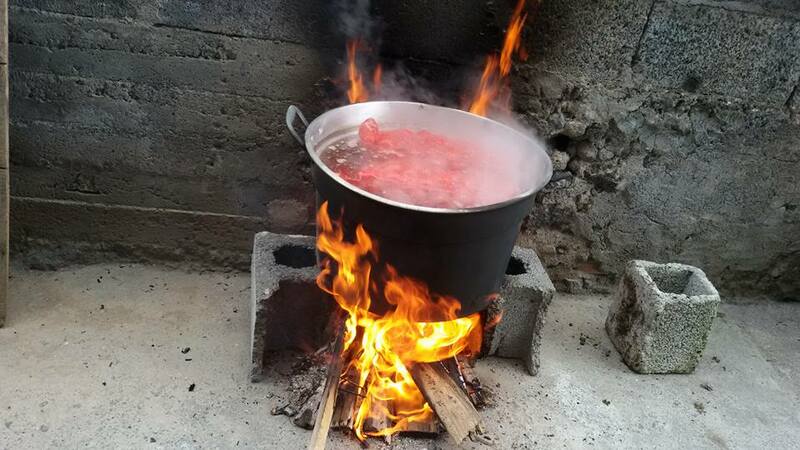 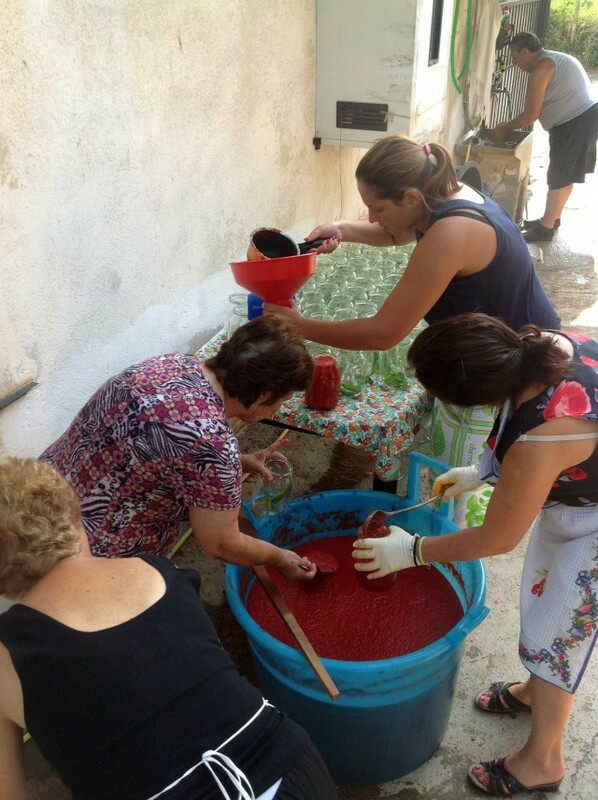 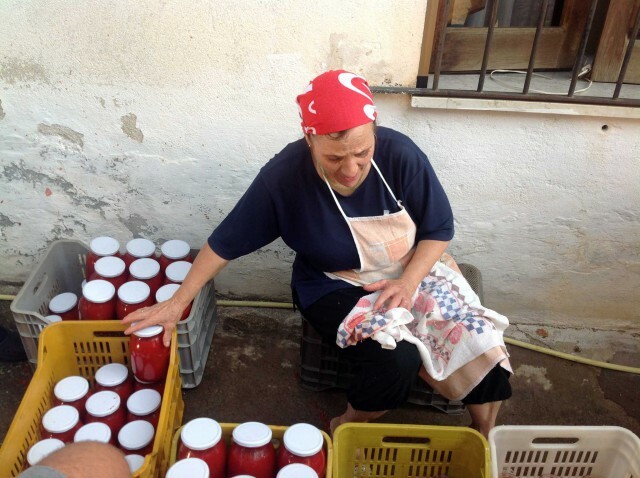 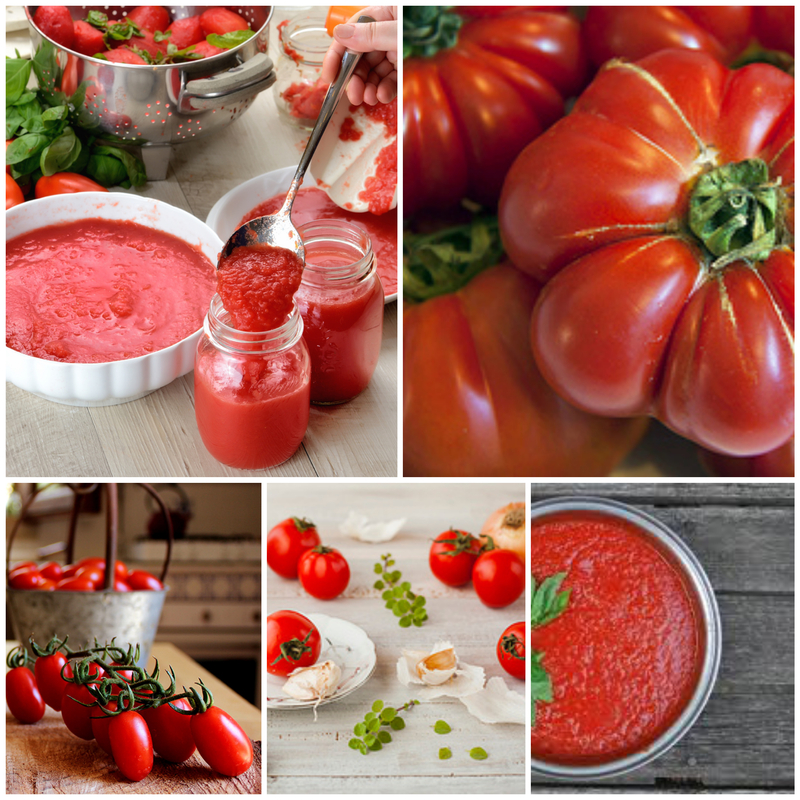 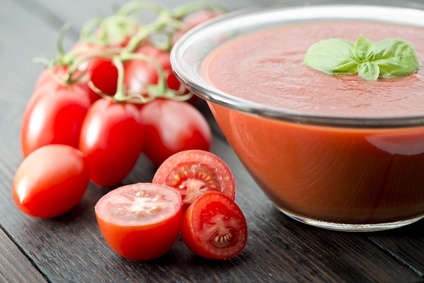 In Sicily it is time to prepare the bottles of tomato sauce, if you walk on the country roads or in the villages the show and the aroma are unique. 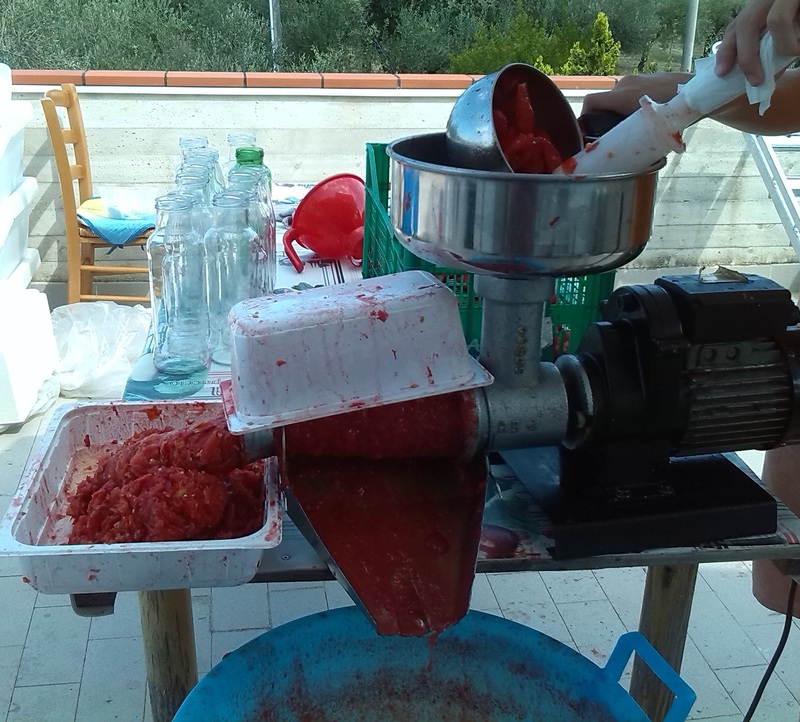 For made this bottles you take a fresh sicily tomatos, make a sauce with oil, saltz and basil if you want, remove the skin of the tomato using tomato press, put the sauce in bottles and close tightly with the cap. 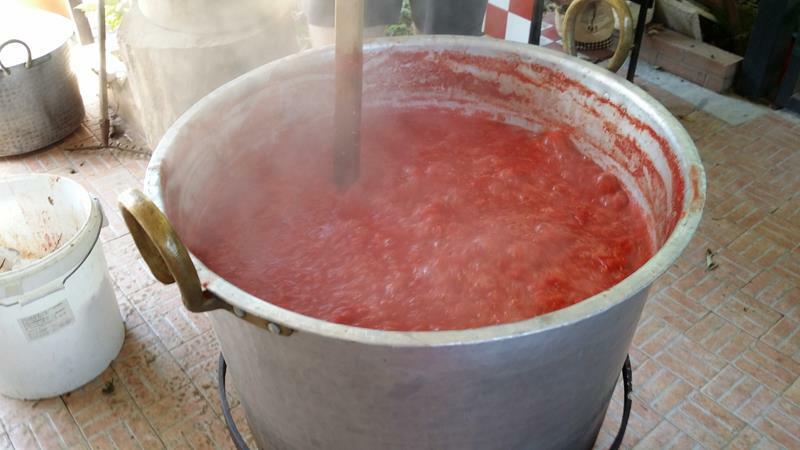 Take a large pot, fill it with water and put it on the stove, place the bottles with the sauce into the pot and boil for at least 3 hours to create the vacuum, REMEMBER! 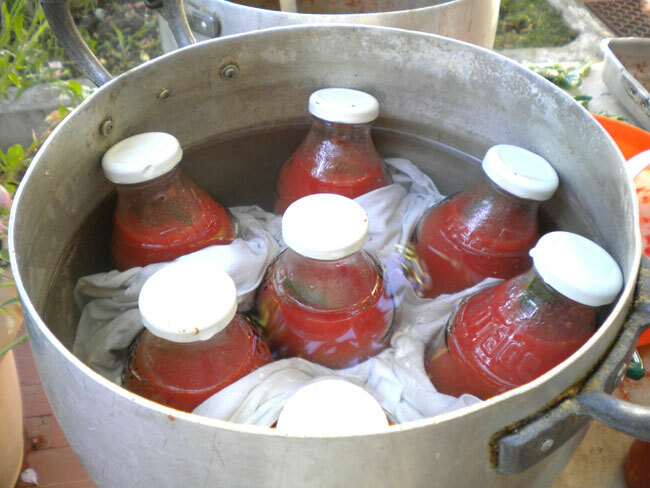 protect the bottles with newsprint or cloth to avoid moving into the pot can hit and break. 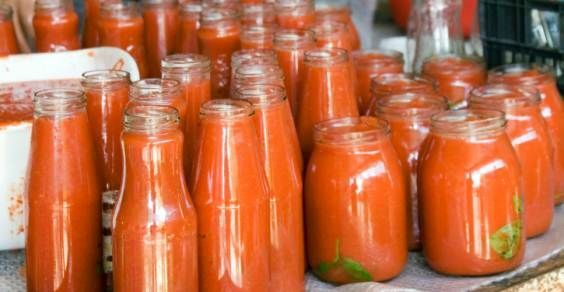 Your canned fresh tomatoes for the winter is ready! 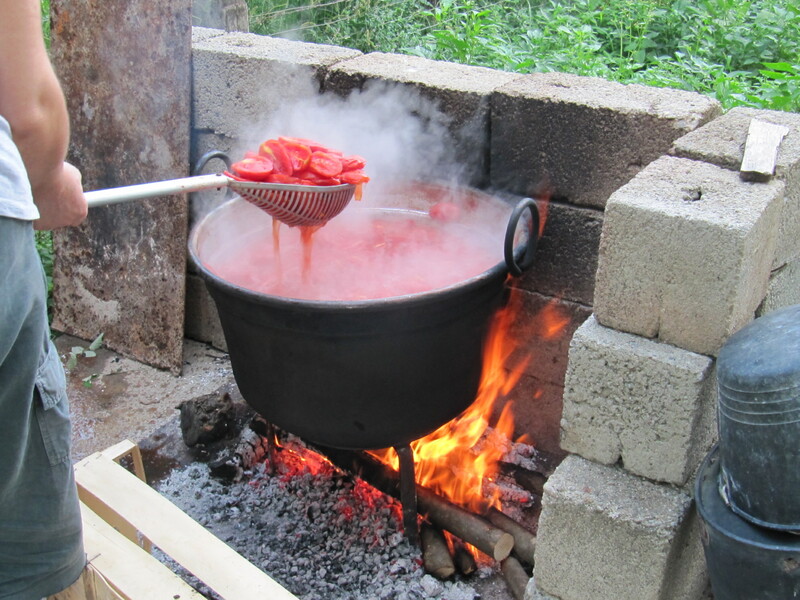 You can also keep for a whole year.